It’s only Tuesday, but it’s already been a bad week for sequels: Kevin Smith’s Silent Jay And Bob reboot has come at the cost of his Clerks and Mallrats sequels, which will now only be available on comic book stands, if ever (though maybe that was his plan all along?). The world of continuity has just been dealt another blow, as Guillermo Del Toro appears to have truly and finally called it a wrap on advocating for Hellboy III. The writer-director, who’s endured his share of disappointment and frustration over beloved projects, made sad the announcement on Twitter today. It seems Del Toro followed up on that scientific poll he took last month, in which he asked Twitter to vote yea or very much yea on the trilogy capper. 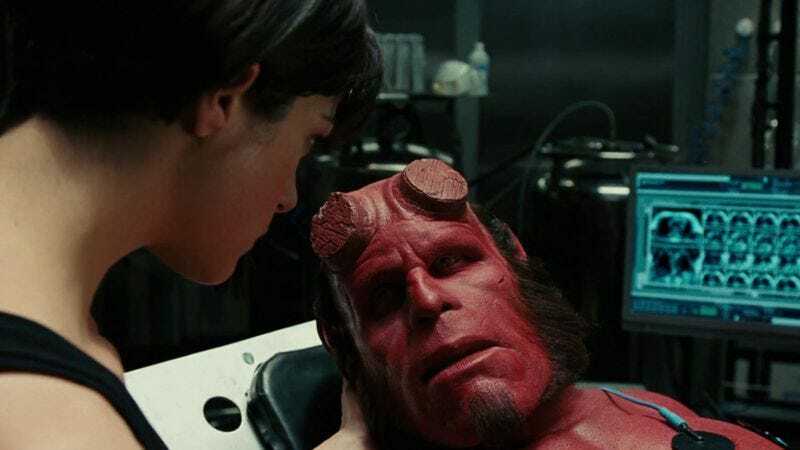 The overwhelmingly positive response inspired him to speak with Hellboy portrayer Ron Perlman, whom you might recall had given up hope on putting the horns on (and sanding them off) again. In fact, Perlman considered Hellboy 3 such a long shot that he figured he might as well run for president. Later that month, Del Toro said Perlman had agreed to a sit-down, and he was just trying to get in touch with Hellboy creator Mike Mignola. Now it appears they did meet and talk, but it didn’t go well. Hellboy 3 is dead, and there’s nothing we can do about it. That is disappointing, but here’s a little cold comfort—eventually, Hellboy would have brought about the end of the world, right? Well, we’ve now got ringside seats for that in real life (seriously, it’s nearly 70 degrees in Chicago, and it’s February).